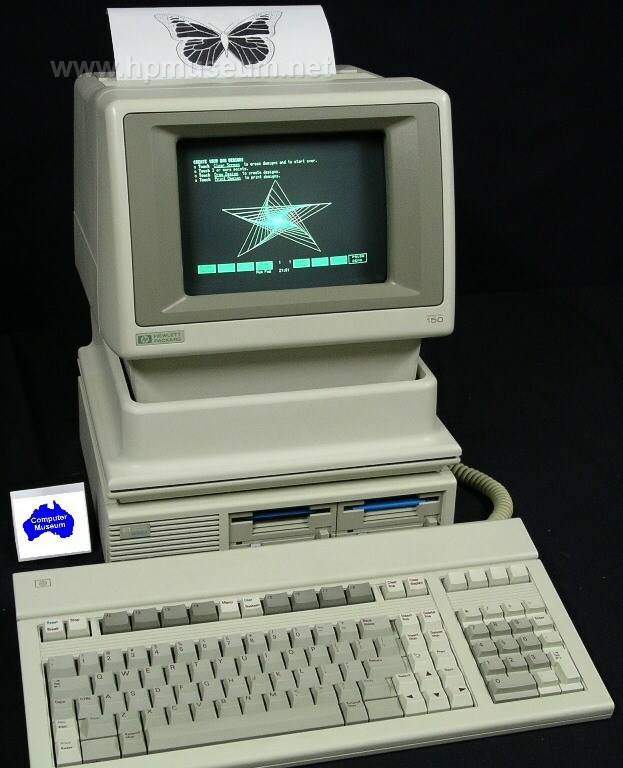 Most of the museum's collection of HP-150 software was donated by John Geremin of Megatronics Australia. John had been collecting the software for future use in a proposed Australian national computer museum. Although the HP-150 ran the MS-DOS operating system, it was not software compatible with IBM PCs. The main problem at the time was that IBM machines did not use or recognise 3.5 inch floppy discs. Data files created on the 150 could be read by IBM PCs after the file had been stored to 5.25 inch floppy disc. If you want a quick and easy way to start using a lot of great HP-150 software right away, you can download the museum's bootable hard disc image of classic HP-150 software.